As of a few days ago I put my anime business revenue to good use by upgrading my work station here at home. I upgraded to a nice 19" LCD monitor, got a new video card and I kept my old monitor for the duel monitor setup. 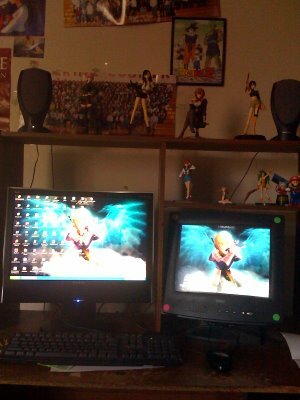 I'm loving it it and though I wish I got more done, with my job only going to be about two full days a week, the day has come for most of my efforts for here and my anime store plus the continuation of my artwork, Flash animations and games, anime.fm, my personal blog, contests and many more. Damn job has been such a pain so I do hope I can fire my boss once and for all soon. Loving being able to work from home and hence this new setup. 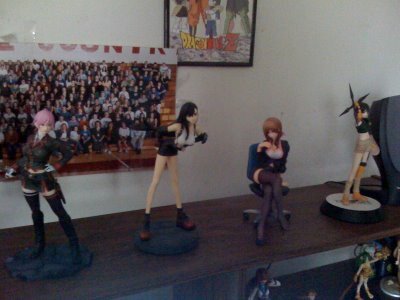 The figures up on top of my desk are (from left to right) Needa, Kotobukiya Tifa, Mirei-san and Yuffie by Kotobukia. 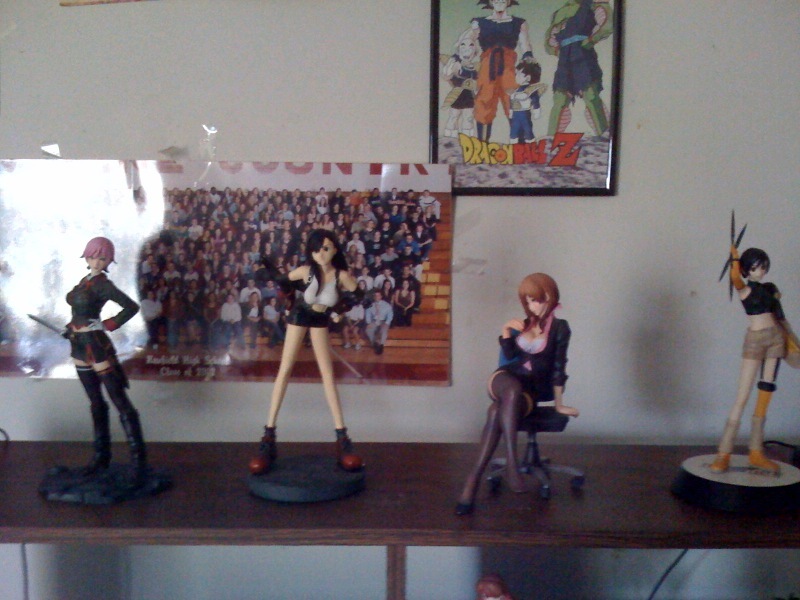 On the shelf you can see Figma Mikuru and a few other small figures. 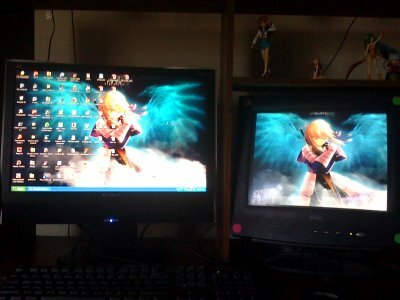 Next I need a wiredless mouse (again, my last one broke) , an oppai mouse pad and I should use my regular camera for these types of pics...not my iPhone. I do wish you update your anime workshop every now and then with more attractive anime figurines. Keep it up!